There aren’t many bands that can host a successful album release without actually releasing their album. Dojo Workhorse, however, is one of those bands. 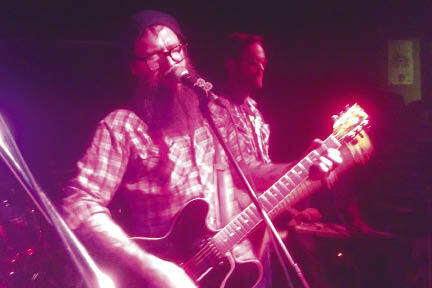 Broken City was sold out on Nov. 23 as Dojo Workhorse was supposed to release their second album, Civil Shepherd. Unfortunately the album wasn’t there, possibly due to a mailing issue, but that didn’t stop Calgarians from rocking out with one of their favourite local acts. Band friends Forest Tate and Clinton St. John opened with their groups, setting a warm stage for Dojo to close on. Tate, whose band appeared to be absolutely ecstatic to perform for such a crowd, treated the audience to his homemade guitar, which was a beautiful wood-crafted instrument that gave him a very unique, distinguished sound. St. John, who is no stranger to performing with Dojo Workhorse, was a comfortable sound for the audience. People know what they’re getting when they listen to St. John, and, while he isn’t as high-intensity, he knows how to keep Calgary warm. The majority of the audience was there for Dojo Workhorse though, and they did not disappoint. When they took the stage later in the night, they started with a lot of popular tracks from their debut album, Weapons Grade Romantic, almost signifying the end of an era for the seven-piece band. They eventually played their way into songs off the new album, and it was a testament to how much their fans appreciate what the band does that they were able to sing along with a lot of the unreleased tracks. Dojo Workhorse has a strong following that sees them every chance they get, and have seen them perform their songs enough times to have already built their own memories and connections with them. The feeling is mutual. “The reason this album is called Civil Shepherd is because it’s about how we all look out for one another here in this city,” said frontman Dan Vacon between songs. Vacon, who is involved in a number of projects here in Calgary, has only the best to say about his hometown. Vacon casually let it slip halfway through the set that the album wouldn’t be premiering at Broken City, and everyone kind of went along with it as if it were part of the plan. Vacon has such a grip over his fans that he, and the rest of the band, are allowed to do things like not have their record for their release, and that’s okay. When the album does release, people will buy Civil Shepherd. It’s going to likely be a great album if it is even half of the show this band puts on.